Finding the best eyeglasses for your face shape doesn’t have to be difficult! While it can seem overwhelming to see a huge selection of eyeglasses to choose from in your Kelowna Optometrist’s office, such as iSight, there are a few ways you can narrow down your selection. One of the best ways to know what kind of glasses will compliment your features best are based on your face shape. Keep reading to learn how to determine your face shape and how to find the best eyeglasses for your face shape! The internet is littered with articles boasting a myriad of ways you can determine your face shape. From drawing your face outline with soap on a mirror to going as far as to measure different areas of your face, there are many ways to discover what face shape you have. There are 7 basic face shapes, but keep in mind, most people are a mixture. We suggest reading the following descriptions and determining which face shape sounds the most like yours. Remember, if you need help determining best eyeglasses for your face shape, don’t hesitate to drop by and see us at iSight. We’d be happy to help! The oval face shape has slightly wider cheekbones and is narrower at the forehead and jaw. If you have an oval face shape, finding a pair of eyeglass frames that are as wide, or a little wider, than the broadest part of your face will naturally compliment your features. A heart shape is characterized by a wider top third, and a narrower bottom third. Typically, the chin is smaller and slightly pointed. Finding frames that are more bottom heavy will balance out your features. Heart shaped faces are also complimented by light coloured, or rimless frames with a lighter appearance. A square face is characterized by a strong jaw and broad forehead. Typically, these face shapes have more angular features. To help elongate the face and soften features, round or oval frames are usually complimentary. A round face is usually characterized by soft angles with slightly wider cheekbones and an equally wide forehead and jaw. To elongate the round face shape and extenuate features, angular narrow eyeglass frames are usually complimentary. One of the best ways to find the best glasses for your face shape is to try them on and see what you like! Stop by iSight Optometry today to find your best frames. We have one of the largest selections of glasses in the Okanagan and would be happy to help you narrow it down to find a pair of glasses you love. While you’re there, don’t forget to book an eye exam! If you stop by before March 1st, 2019 to book your next appointment, you’ll be entered to win a free pair of Maui Jim Sunglasses! 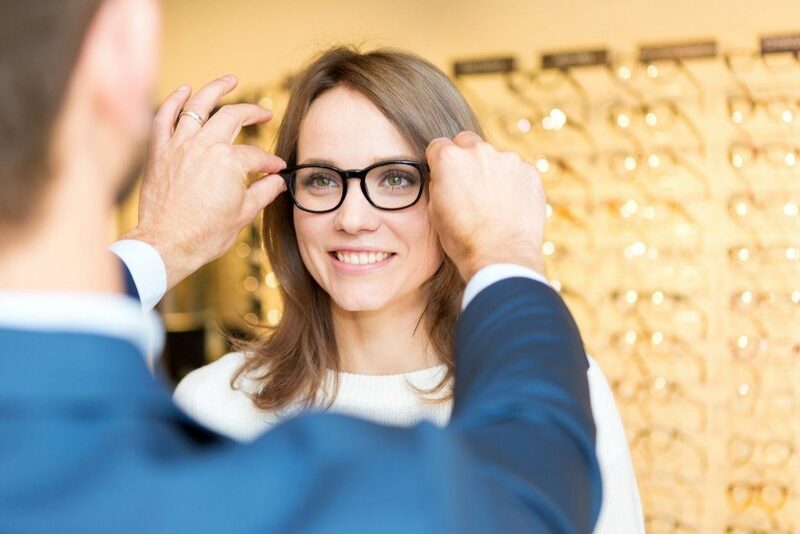 Picking out the right lenses for your frames is equally important and getting an eye exam helps us understand your vision needs, and if your lenses should incorporate features such as anti-reflective coating. We look forward to seeing you soon! Book your next appointment or drop by to find your perfect frames today! 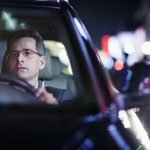 Previous PostPrevious What Are the Benefits of Wearing Blue Light Blocking Glasses?